Act Fast Before This Silver Dollar Is History! 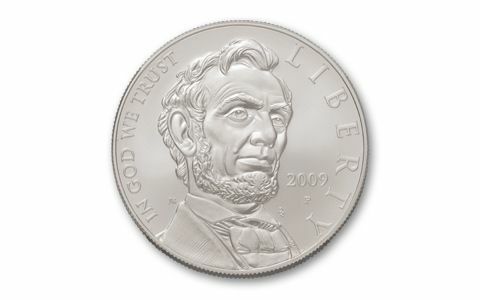 For years collectors have been anticipating 2009-the 200th anniversary of Abraham Lincoln's Birth. 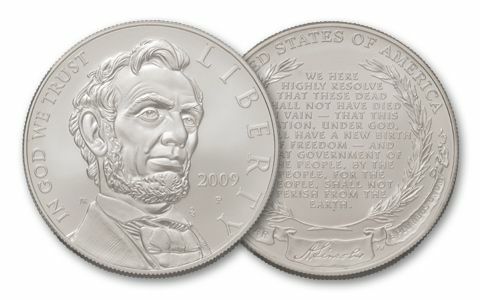 To commemorate this momentous event in U.S. history the Mint has released the one year only 2009 Lincoln Commemorative Silver Dollar Proof. Only 500,000 were minted and these rapidly sold out, we snatched up every one we could get our hands on and can now offer this spectacular Silver Dollar. 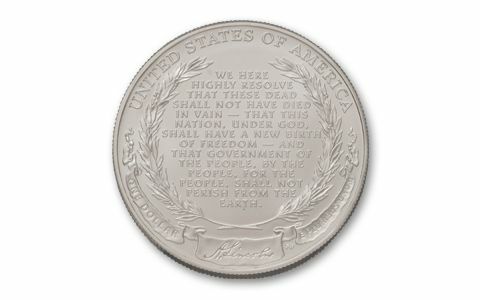 The reverse features the last 43 words of the Gettysburg Address. Don't wait or you will miss out!